hearts | "A Place for Learning"
The kids did an awesome job painting hearts at class this week…and we had a visiting Dad paint with us. Nice work everyone! 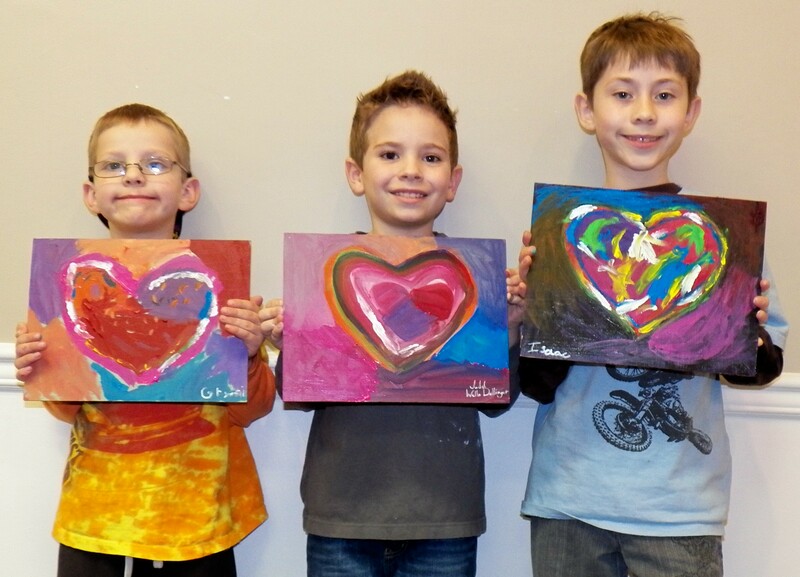 The kids worked this week with paper and paint on canvas to create these lovely hearts….for their sweethearts! Happy Valentine’s Day. Here are a few more Valentine themed pieces we have done at The Studio this past week. And you can click here to see others. 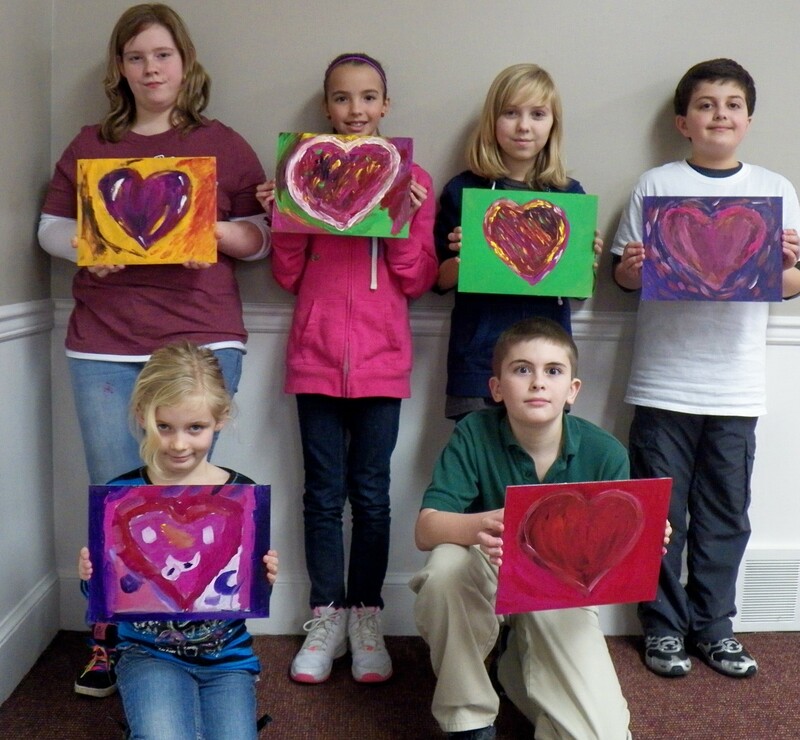 This week we painted beautiful abstract hearts as a run up to Valentine’s Day. I love how different they all are. Terrific job everyone!